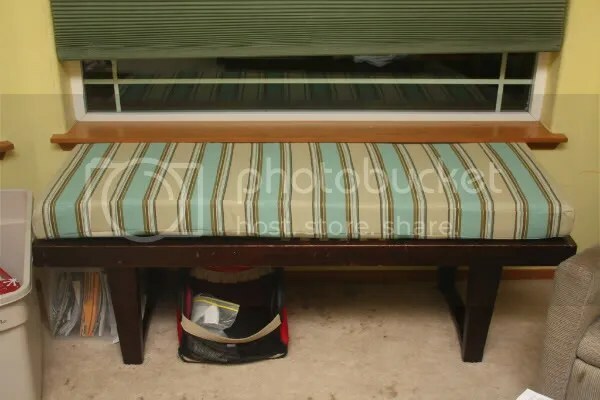 I bought this bench over a year ago, and got the materials for a cushion shortly after. Well, I finally got around to making it (yay for pregnancy nesting). It is a simple rectangle with 4 inch foam inside. Only took me 3 hours to get it done, including the hand stitching at the end. I should have dome this a while ago.